At the baccalaureate level, OHSU offers the bachelor of science in nursing (BSN) program. The traditional BSN is a four-year program that trains independent healthcare professionals to assume leadership roles in the medical arena. Registered nurses (RNs) who already hold an associate’s degree in nursing (ADN) can instead enroll in an accelerated RN-to-BSN program. After completing the BSN program, RNs can pursue a master of science in nursing (MSN) or a doctor of nursing practice (DNP) at OHSU, in order to train for specialized roles like nurse anesthetist, nurse midwife, or nurse practitioner. The University of Portland is a highly regarded local private school that also offers all of these nursing degree programs. Aspiring certified nursing assistants (CNAs) and licensed practical nurses (LPNs) must complete a briefer certificate program before practicing in the state of Oregon. LPN programs require 12 to 18 months of fulltime study, while CNA programs typically take just eight to ten weeks to complete. These certificate programs are offered by numerous community and career colleges in the Portland area, including Concorde Career College, Mt. Hood Community College, and Pioneer Pacific College in Wilsonville. 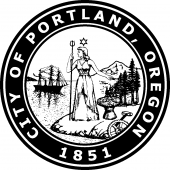 Learn more about local nursing programs by reviewing our detailed list of Portland nursing schools. We’ve profiled each college in depth below, including recent NCLEX test scores where relevant.